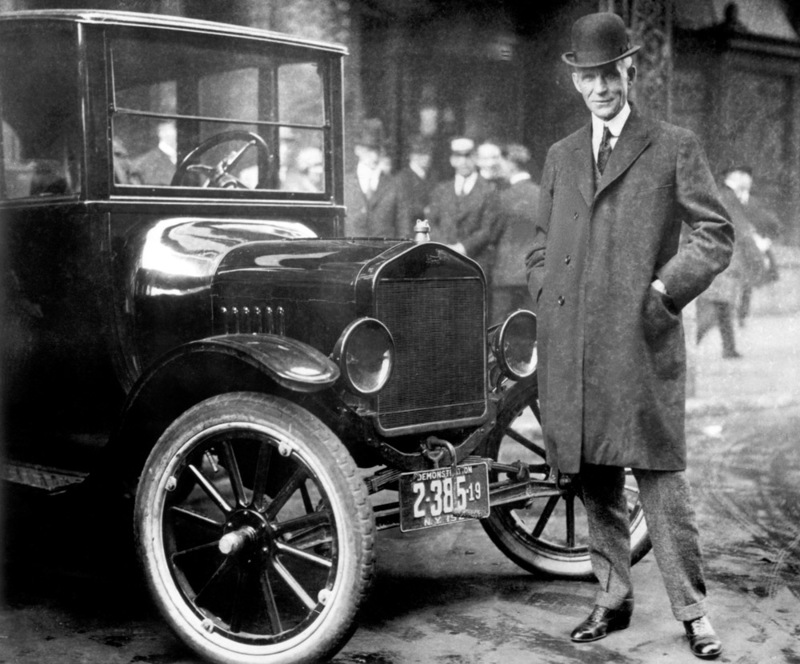 While other auto makers wanted to design luxury cars, Henry Ford designed a car that anyone could afford. Here he is standing by that very car. From the collections of The Henry Ford and Ford Motor Company.